"Having considered the parties' submissions, I conclude that the Auction should be conducted confidentially and that the Auction should be closed to everyone but the participants and the Trustee," Parsons wrote today in a letter to lawyers for the two rival ownership factions, and the Newspaper Guild. But the judge did grant one request from the Norcross ownership faction -- known as the General American Group -- and the Newspaper Guild. "I agree with General American and the Guild, however, that the identity of the Prevailing Party .. and the amount of the Prevailing Bid ... should be made public," Vice Chancellor Parsons wrote the lawyers for the two rival ownership groups, and the Newspaper Guild. Katz and Lenfest had wanted only the identity of the winning bidder disclosed, and not the amount of the winning bid. "I'm very disappointed," said Bill Ross, executive director of the Newspaper Guild. "My members who are the working press are not allowed to attend, but the judge ruled and we have to live with his ruling. At least the judge appeared to split the baby, and ordered the sale price and the winner made public." In an order dissolving IGM filed today, Vice Chancellor Parsons laid down the final ground rules for next Tuesday's auction. The two warring ownership factions will be the only bidders. They will each have to provide William B. Chandler III, the auction trustee, with a security deposit or a personal guarantee for $5 million. "In accordance with the testimony of George E. Norcross III at the hearing in this matter," Parsons wrote, the Norcross faction will submit an opening bid of $77 million. Katz and Norcross led a group of owners that bought the two newspapers for $55 million in March 2012 from a group of hedge funds. But when the new owners took over, they discovered the company was burdened by millions of dollars in extra debt. The opening bid of $77 million "includes the amounts necessary to satisfy the indebtedness owed to Susquehanna Bank and the Philadelphia Industrial Development Corporation, last reported at $15,345,000," Parsons wrote in his order dissolving IGM. After the Norcross group bids $77 million, the Katz group will have 10 minutes to top that bid by $1 million. If they don't, the auction is over. If the Katz group bids $78 million, the Norcross group will have ten minutes to bid $79 million. The auction will continue in that fashion until somebody stops bidding. In his order dissolving the company, Parsons states that "all senior level employees, including the publisher and the editor, shall continue in employment with IGM until successful completion of the Auction on the Auction date of May 27, 2014." 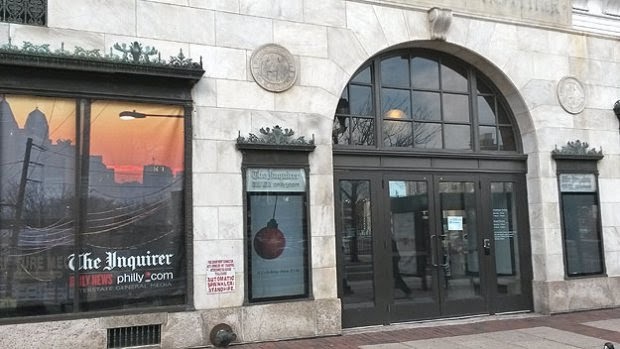 That means that Inquirer Publisher Bob Hall and Inquirer Editor Bill Marimow will stay on the job for one more week, until the auction is over. If the Katz group wins, Marimow is in and Hall is out. If the Norcross group wins, Marimow is out and Hall may stay on the job until a new publisher is hired.